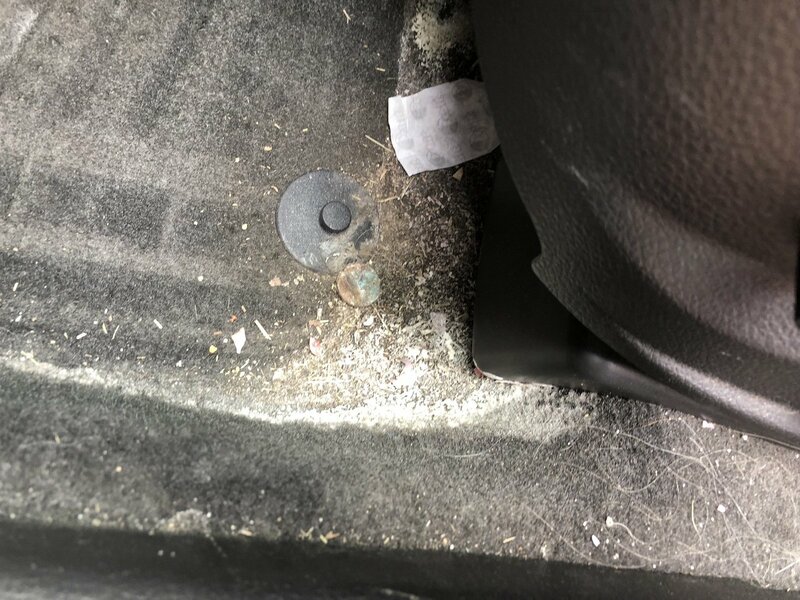 Anyone have a really good method to remove the crusty salt from drivers side carpets? 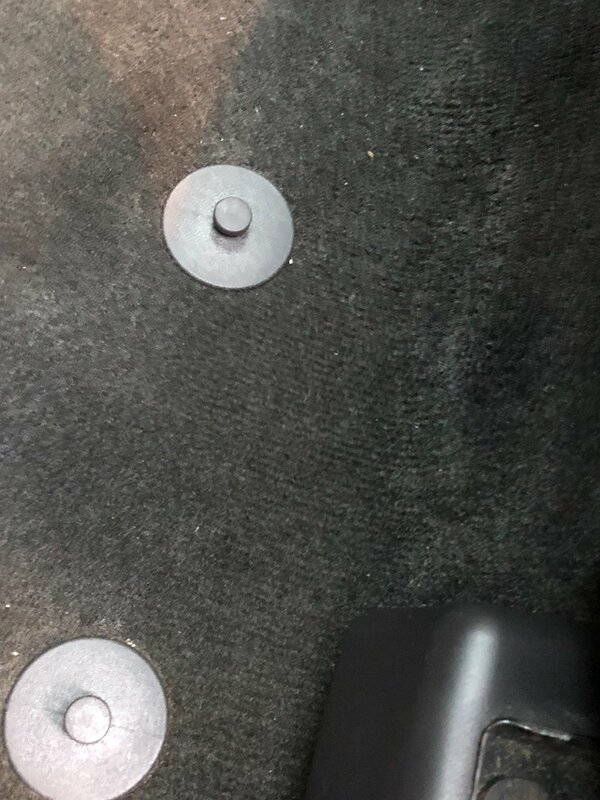 while i havent been driving from surgery, my wife missed a couple of cleaning trips, Now I need to remove the salt where she missed the Weathertech mats. There’s a few years. Some people say vinegar diluted will do it. We use a combination of steam and hot water extraction with a good carpet cleaner and agitation. If you don’t have the extractor or steamer, you can get good results with vinegar and distilled water. I had great results with the situation below. I think it mixed it 50/50 for the salt crust below (I posted it somewhere on here. I’ll edit here when I find it.). It was a matter of soaking and blotting/wiping repeatedly. Thanks for the replys and info, will the CUC work? I'd try the method above. I think the CUC is a saline-based product, so using it on salt is counterintuitive. You guys beat me to it. White vinegar and water. I don't know about distilled water, what the difference is. But it will work. Soak it good, let it dry, use a brush to loosen the junk, then vacuum. 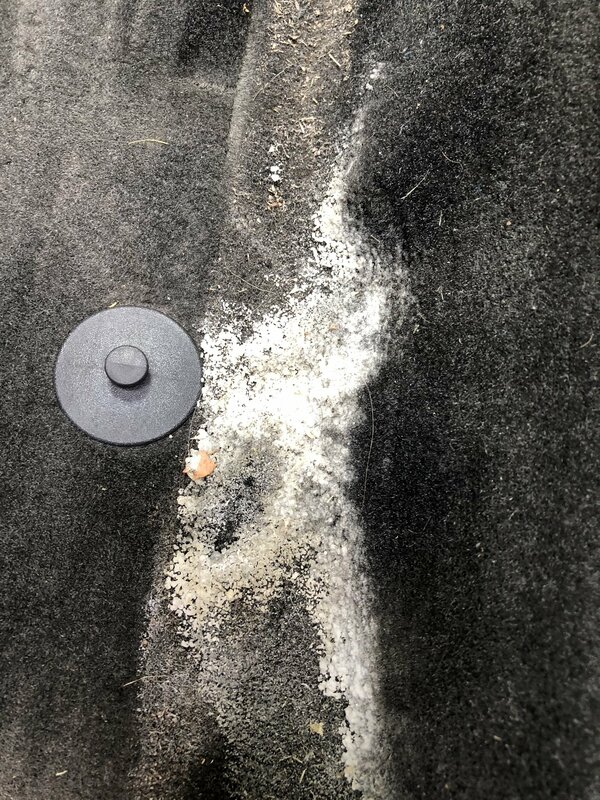 After that, if you need to use Carpet Cleaner to clean the whole rug (if you get a light spot from the cleaned area) then do it up. This is perfect timing as I was just looking for an answer to this question as well. I can confirm that the vinegar/distilled water method worked for me. The vinegar smell is strong though. You used WHITE vinegar didn't you? And sprinkle baby powder or baking soda over it overnight and vacuum it up in the morning. That'll take care of the smell. Yes, I used white vinegar. I don't have any odor neutralizer but the febreeze I had didn't work. I'll try the baking soda next. White Vinegar and warm water in a old DS bottle worked for me.